The Granite Plaza apartment on 700 Corydon Avenue offers premium suites in the Corydon area. The Corydon Village also is known as "Little Italy," is a very popular destination district with the liveliest neighborhood, amazing bistros, local shops, and a very diverse multicultural neighborhood. 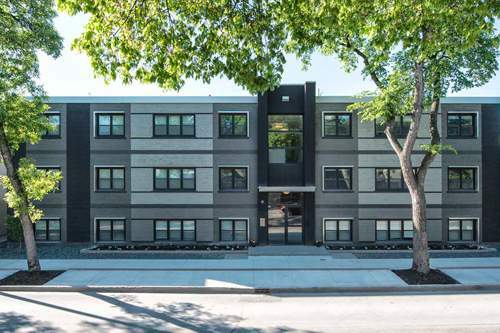 Granite Plaza is a 3 story walk-up apartment with newly renovated suites throughout and modern finishes. The kitchens have been updated with stunning granite counter tops, stainless steel appliances. Each suite has new walnut hardwood flooring, large windows with plenty of natural sunlight and new bathrooms. The building also features an exercise room, bike storage, smart card laundry facility. Granite Plaza is a wonderful place to call home with modern updates and urban convenience. This apartment building is a cat and a small dog-friendly building.